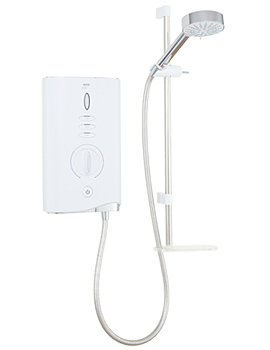 Having Bristan’s Glee 10.5 kW Electric Shower in your bathroom would be like going to the spa every time you showered! This incredible piece of technology mixed with design carries a modern design with a smooth, flat surface. 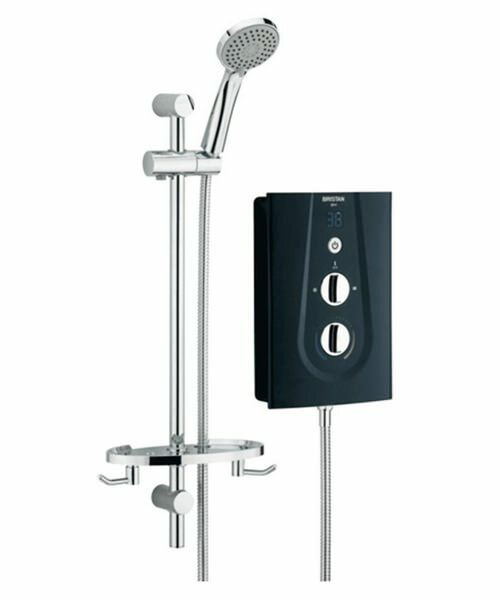 The push button and separate flow and temperature dials are easy to operate while a smart digital temperature display flashes your chosen temperature. 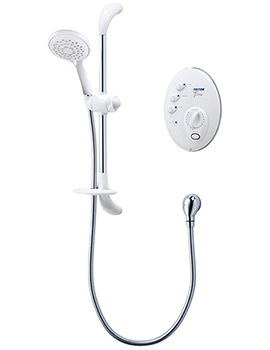 It also incorporates a "phased shutdown" which clears all of the hot water out of the shower when you turn it off. 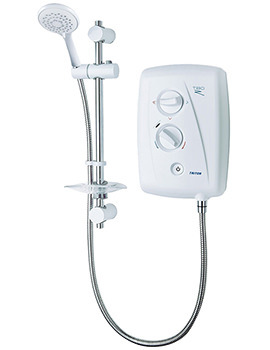 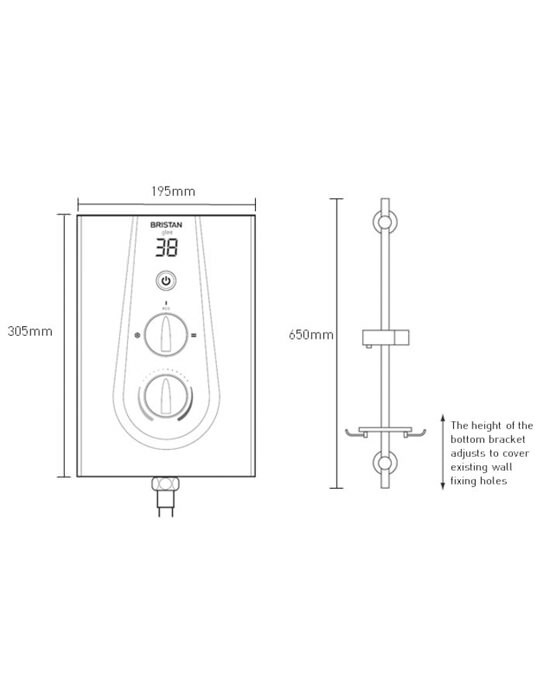 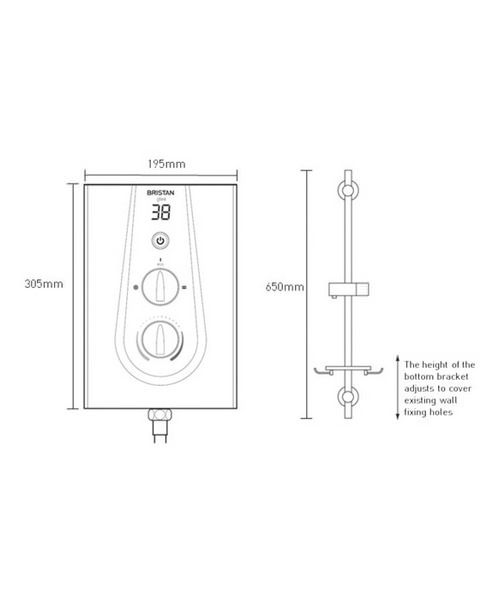 The phased shut down feature ensures all hot water is flushed out of the shower after use prolonging the shower life. 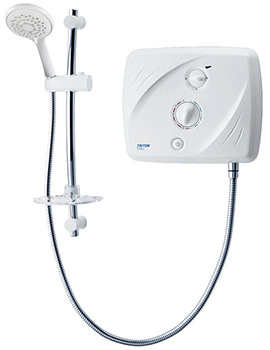 2 years guarantee from Bristan.